At Country Hills Dentistry, we provide a full range of general dentistry services, including fillings for cavities, dentures, root canals, and tooth extractions. Better health means better quality of life, and this goes for our teeth and mouths as well. When your dental needs are met, your smile is brighter. 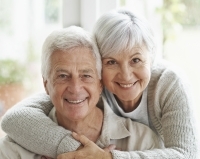 At Country Hills Dentistry we provide both full and partial denture services. At Country Hills Dentistry we provide fillings for cavities to provide you with a healthy looking and feeling smile. At Country Hills Dentistry we provide root canal therapy services when there is infection in the pulp, or soft tissue of your tooth. Country Hills Dentistry in Kitchener provides tooth extractions for patients who require a tooth to be removed from the mouth.